American painter Jackson Pollock’s West Village apartment is tidier than expected. Not that we imagined abstract paint drips and splashes poured all over the walls and floors of 46 Carmine Street, Unit 4 (after all, Pollock reportedly lived here as far back as 1932). 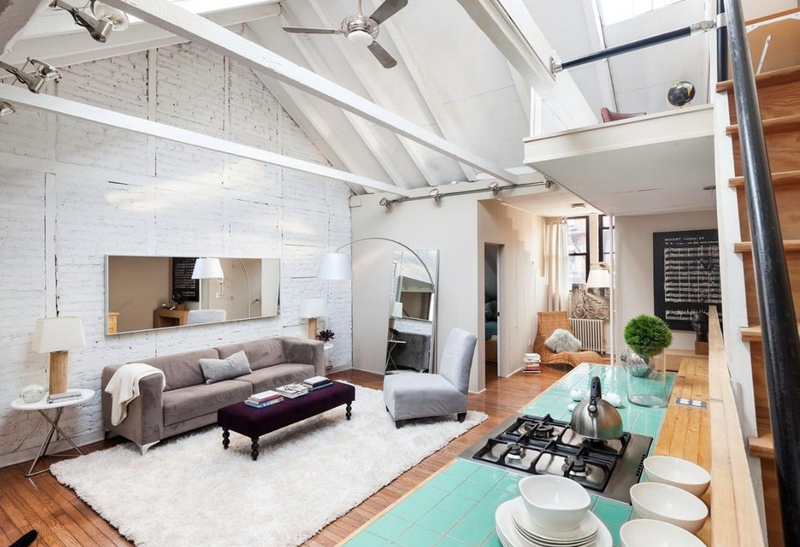 No, this charming one-bedroom, one-bathroom loft—just listed for $1.25 million—offers a more conventional coat of paint, a bright open layout, lots of character, and an eerie history locked within its exposed brick walls. Unit 4 at 46 Carmine Street, built in 1827, still features the original exposed brick walls. 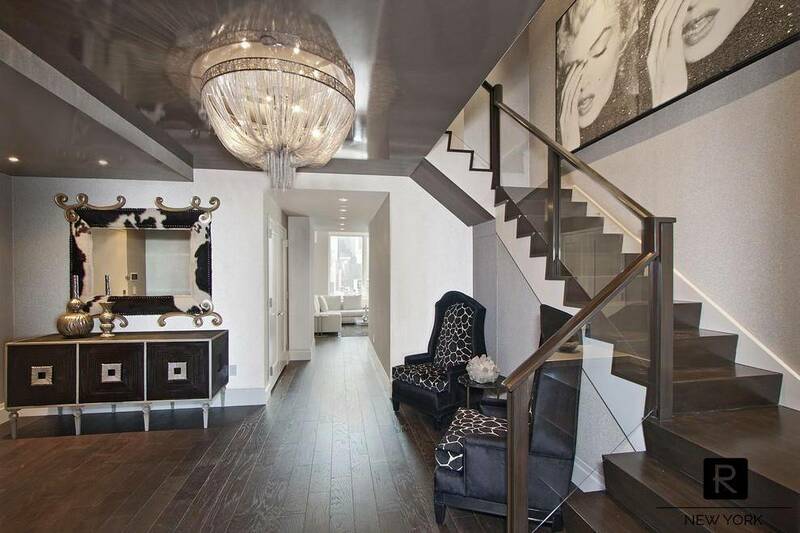 Douglas Elliman Real Estate agent Luis D. Ortiz (who formerly co-starred in Bravo’s reality television series Million Dollar Listing New York) has the listing for the home, which is back on the market for the second time in recent years. It’s ideal for someone with small needs but huge ambition, much like Pollock himself. Among his research on the property, Ortiz learned Pollock’s lucky number was 46—a figure that was used in some of his paintings, and a theme that may relate to the Carmine Street address or psychology. 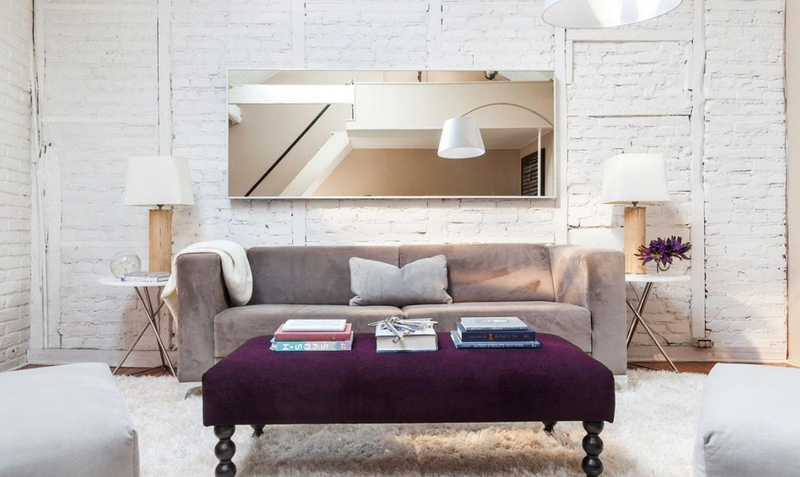 Built in 1827, the 800-square-foot penthouse apartment between Bedford and Bleecker streets is small on space but big on appeal—with its original wide plank floors, original bricks on inside walls (painted white), exposed beams, 14-foot-tall Tudor-style ceilings, and skylights that cast enough natural sunlight to illuminate the darker side associated with its purported former famous occupants (including Aaron Burr, Thomas Jefferson’s rejected vice president, who mortally wounded U.S. founding father Alexander Hamilton in a duel). According to Ortiz, Burr once owned the townhouse, the land or a prior home here. The quaint building in historic West Village, with its shared garden, basks in the shadow of rare bookstores, record stores, restaurants, and Our Lady of Pompeii Church. 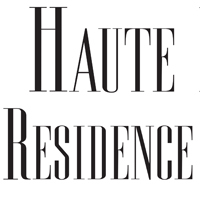 The penthouse’s open kitchen has a double-drawer refrigerator, separate freezer, Bosch dishwasher and a Verona stove. 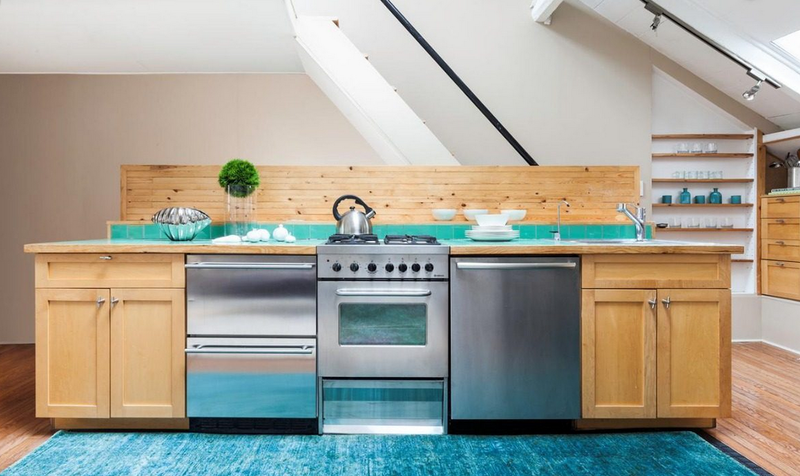 The eclectic cottage-like home boasts an open kitchen with a double-drawer refrigerator, separate freezer, Bosch dishwasher, Verona stove, and a Pirelli floor. The apartment also showcases a cozy fireplace, soaking tub and a separate loft-turned-office. 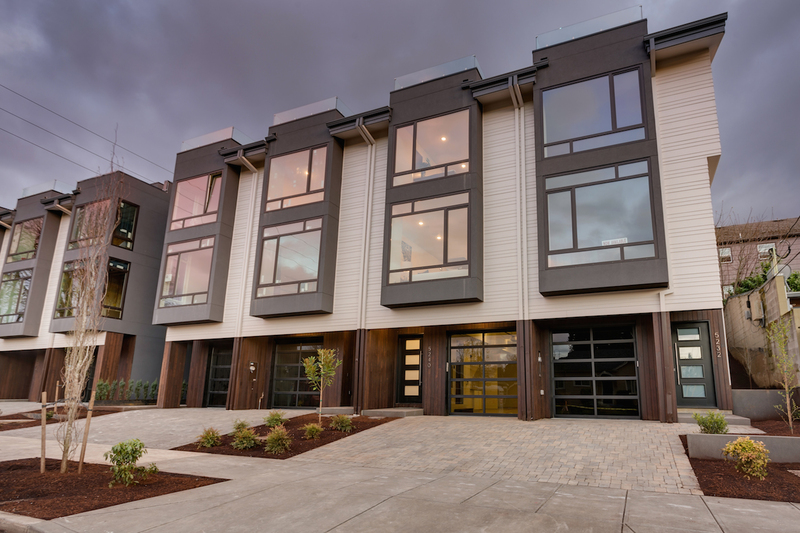 Unit 4 offers a separate loft or office upstairs in this 800-square-foot apartment. Ironically, the sunny and breezy 46 Carmine Street offers a complicated paradox. For Pollock, who some believe was bipolar, 46 Carmine Street briefly served as his life’s canvas—the exact years the expressionist painter lived here are murky. 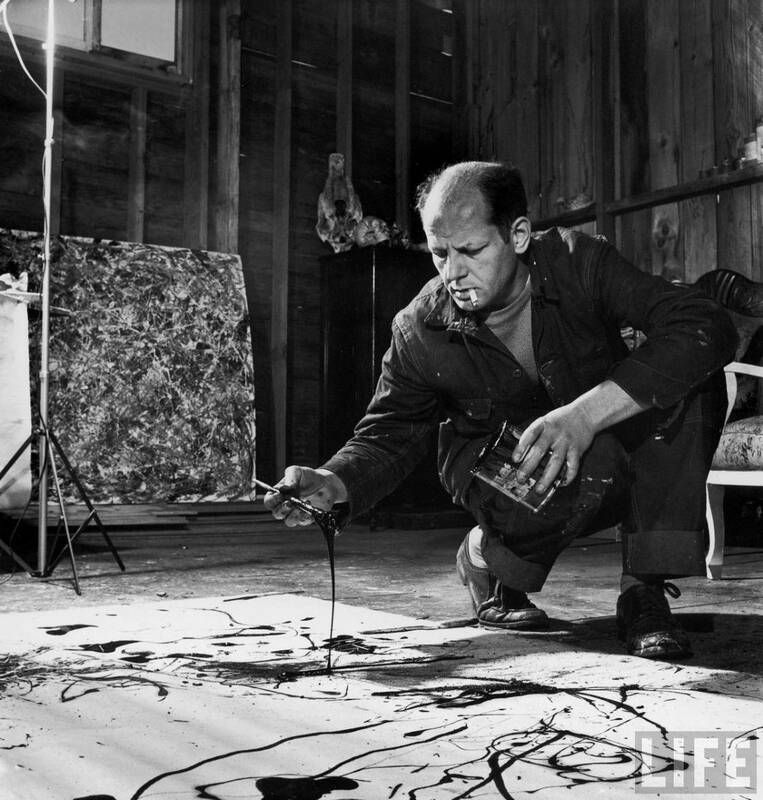 We do know Pollock’s meteoric success exacerbated his alcoholism which tragically ended his life via an under-the-influence car accident. But while his enamel paints have dried into history, his legacy and influence live on. 46 Carmine Street, Unit 4 is a character witness to history that’s difficult to unravel in 2014. Speculatively, this is likely where a painter changed our perception of art and where a former VP may have plotted to exorcize his demons. 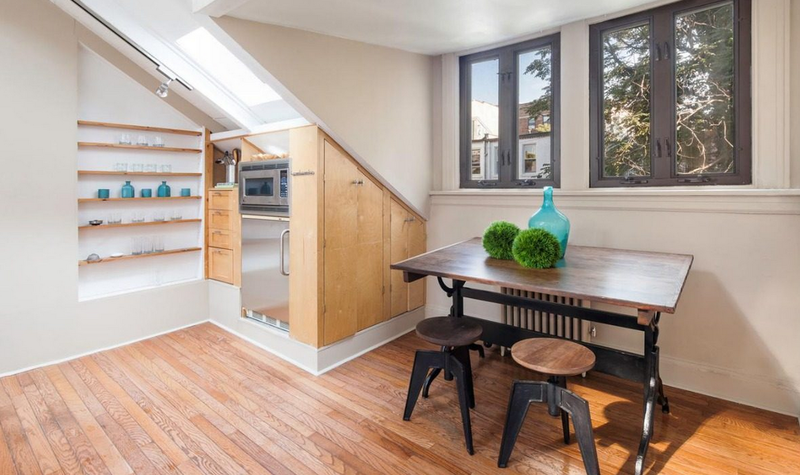 Aside from that, the apartment is a cool loft with a fascinating backstory. 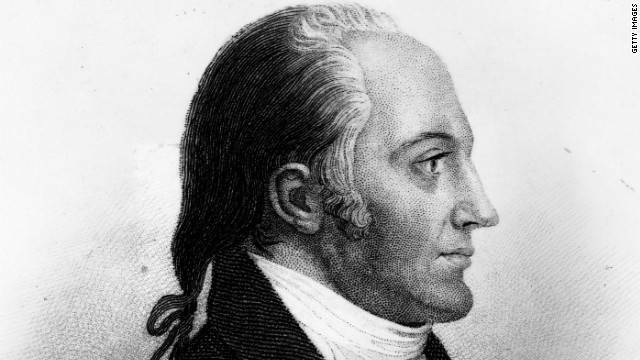 Speculation says the USA’s third Vice President Aaron Burr owned the townhouse, land or a prior home where 46 Carmine Street is today. For those bidders looking for a deal, Pollock’s former apartment may be a good investment—considering his paintings (like “No. 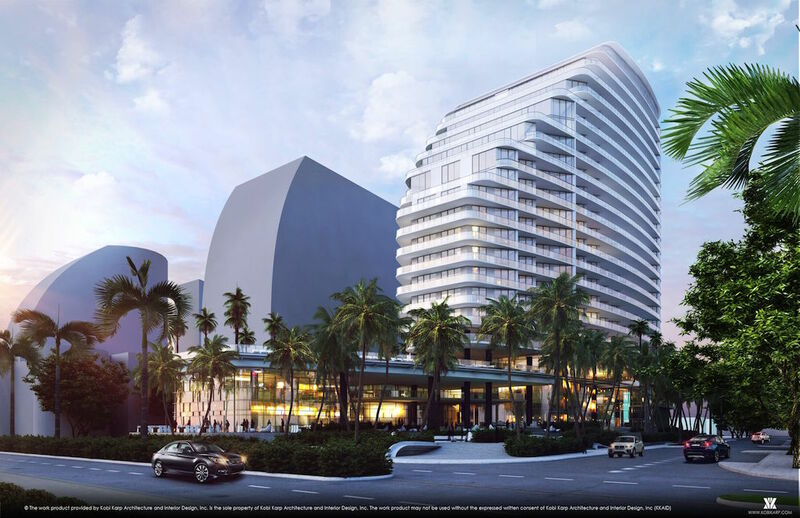 5, 1948”) sell for up to $140 million. And who knows what lurks beneath those original floorboards—paintings or ghosts? We may never know. In any case, if the buyer expects a Pollock painting in the deal, good luck. 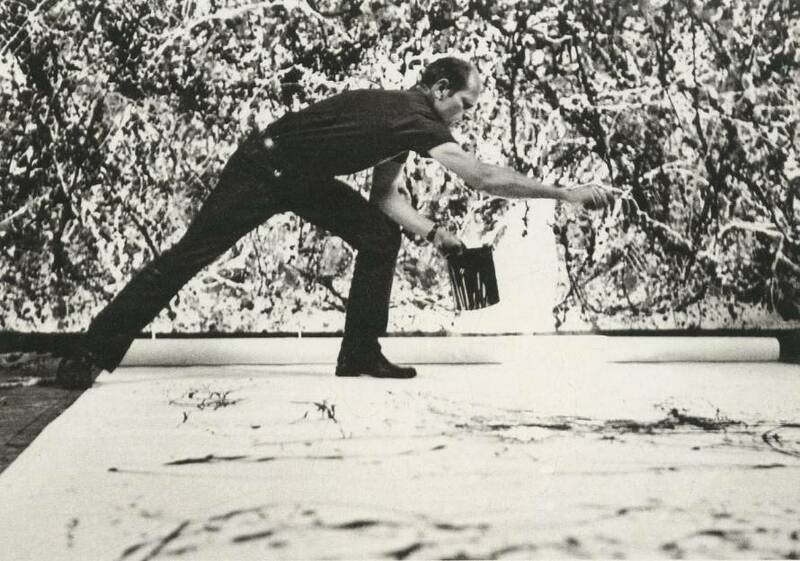 Entertainment impresario David Geffen reportedly sold Jackson Pollock’s famous ‘No. 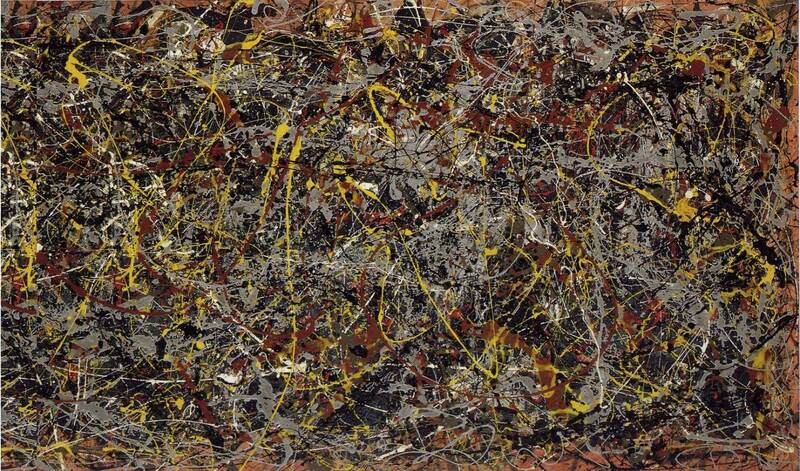 5, 1948’ painting for $140 million.